Annual Research Review 2019 – Registration Now Open! Master of Science – M.S. Professor Achuta Kadambi of the Electrical and Computer Engineering Department at UCLA has been named to Forbes magazine’s 30 under 30 list for Science 2019. The list highlights up-and-coming visionaries who display noteworthy ambition and inspiration. Professor Kadambi recently received his doctorate from MIT and joined UCLA as an Assistant Professor in the Electrical and Computer Engineering Department in 2018. Professor Kadambi heads the Visual Machines Group, whose research aims to give the gift of sight to robots. The group specializes in unconventional imaging systems that tightly couple optical hardware and computer algorithms, topics usually studied separately. Professor Kadambi’s inventive cameras enable new capabilities for robots. Examples include deploying drones that can image survivors in a natural disaster, or autonomous cars with specialized LIDAR systems that operate in fog. Such examples underscore Professor Kadambi’s determination to realize the social impact of his group’s inventions. 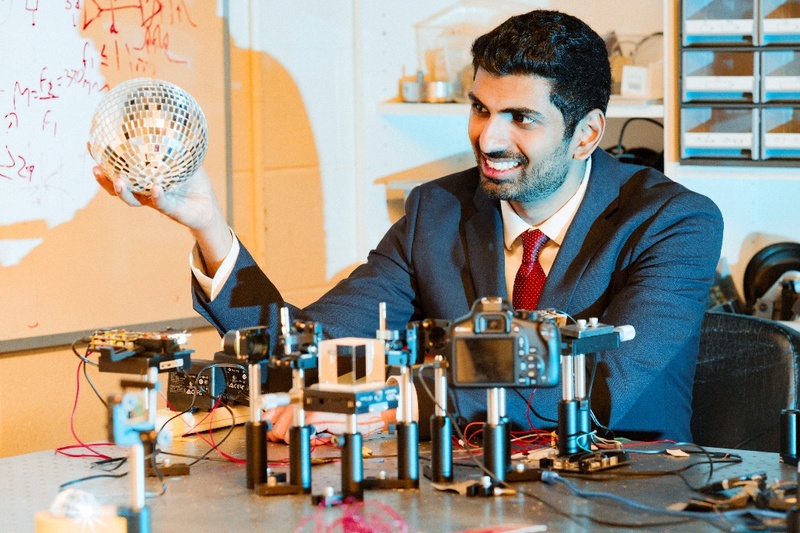 In the future, Professor Kadambi envisions cameras moving away from simulating the human eye, and instead adopting more exotic designs in complex visual systems. The systems would provide new sensory data that would allow robots to see what would be invisible to the human eye.